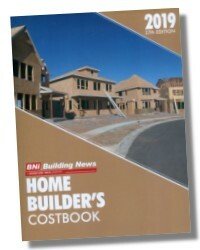 Now there's a cost estimating resource that's developed specifically for home remodelers! 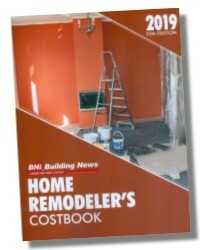 Developed in cooperation with the National Association of Home Builders, this book let's you quickly and easily estimate the cost of all types of home remodeling projects, including additions, new kitchens and baths, and much more. You'll quickly agree that this costbook is the first place to turn, whether you're preparing a preliminary estimate, evaluating a subcontractor's bid, or submitting a formal budget proposal. 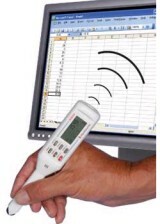 It puts at your fingertips accurate and up-to-date material and labor costs for thousands of cost items, based on the latested national averages and standard labor productivity rates. 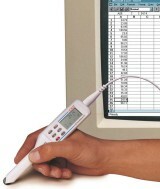 What's more, the book includes detailed regional cost modifiers for adjusting your estimate to your local conditions. Material costs for thousands of items based on current national averages (including allowances for transport, handling and storage). Labor costs based on the prevailing rates for each trade and type of work, PLUS man-hour tables tied to each unit costs, so you can clearly see exactly how the labor cost was calculated and make any necessary adjustments. Equipment costs -- including rental and operating costs. Square-foot tables based on the cost-per-square-foot of hundreds of actual projects -- invaluable data for quick, ballpark estimates. All data in the Costbook pages and Man-Hour tables is organized according to the CSI MASTERFORMAT - the industry standard numbering/classification system. The data is divided into the 16 divisions as shown below. The five digit numbers within each division correspond to the MASTERFORMAT Broadscope designations. Each section is further broken down into MASTERFORMAT Mediumscope designations. These numbers, in most cases, are the same as those used in architectural and engineering specifications. The construction estimating information in this book is divided into two main sections: Costbook Pages and Man-Hour Tables. Each is organized to the 16 divisions of the CSI MASTERFORMAT as shown below. In addition, there are extensive Construction Reference Tables, Geographic Cost Modifiers, Square Foot Tables and a detailed Index. Sample pages with graphic explanations are included before the Costbook pages, Man-Hour Tables and Square Foot Tables. These explanations, along with the discussions below, will provide a good understanding of what is included in this book and how it can best be used for construction estimating.